As we previously discussed here and here, a group of industrial customers of Appalachian Power Company (“APCo”) appealed to the Supreme Court of Virginia, asking the Court to strike a controversial portion of the Virginia Electric Utility Regulation Act (“Regulation Act”). 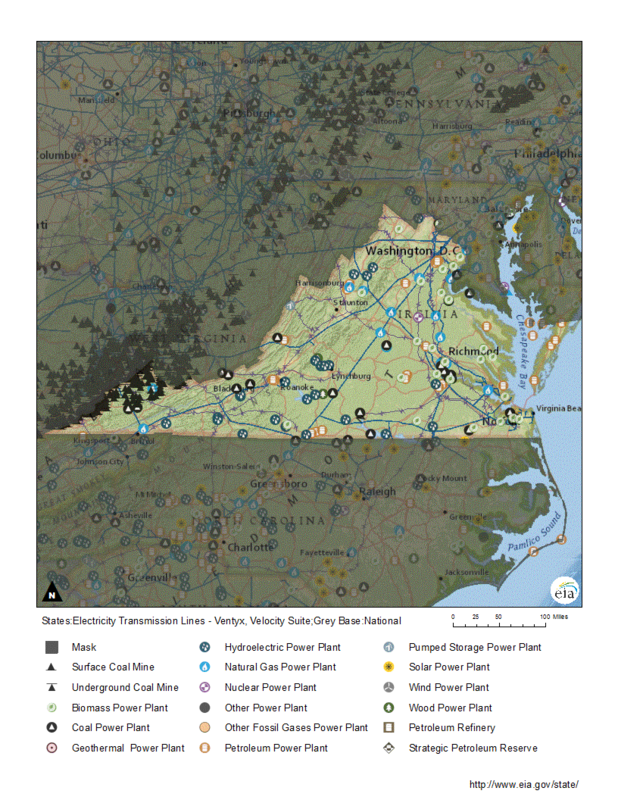 The group, the Old Dominion Committee for Fair Utility Rates (“Committee”), challenged a 2015 amendment to the Regulation Act, Senate Bill 1349 — the so-called “rate freeze law” which prevents the State Corporation Commission (“SCC” or “Commission”) from reviewing or reducing the base rates of APCo and Dominion Virginia Power (“Dominion”) until 2020 and 2021, respectively. There is little dispute the law has helped APCo’s and Dominion’s profits and led to rates that are higher than they otherwise would be if the Commission had authority to review them. Using Dominion’s own figures, Commission Staff calculated in a recent report that the company’s customers would be due about a $130 million refund on bills paid in 2015 and 2016. APCo had overearnings of more than $20 million in 2016, according to the report. “Subject to such criteria and other requirements as may be prescribed by law, the [State Corporation] Commission shall have the power and be charged with the duty of regulating the rates, charges, and services and, except as may be otherwise authorized by the Constitution or by general law, the facilities of railroad, telephone, gas, and electric companies.” Va. Const. art. IX, § 2. 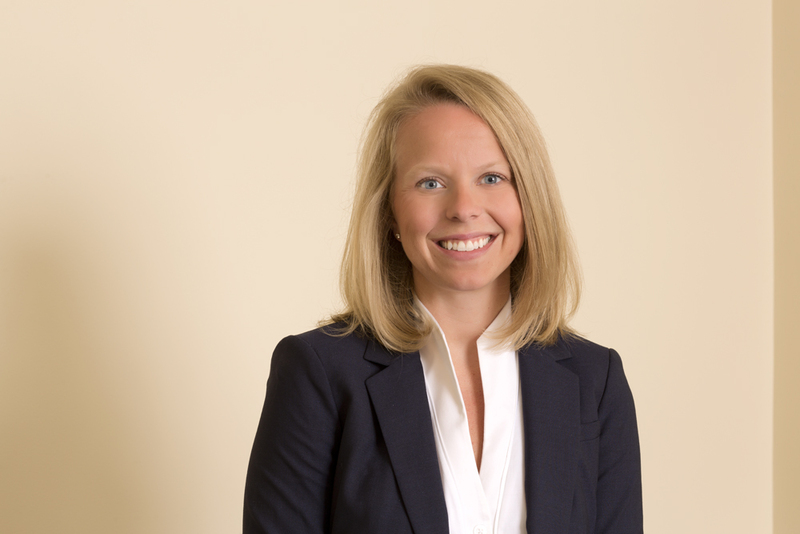 GreeneHurlocker represented the Virginia Citizens Consumer Council (“VCCC”), which filed an amicus brief before the Court. The VCCC argued that the rate-freeze law was unconstitutional. 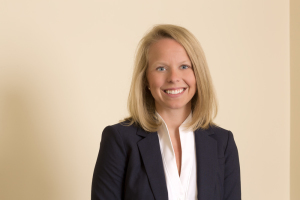 If you have any questions about any of the legal aspects of this case, do not hesitate to contact one of GreeneHurlocker’s Virginia energy and regulatory attorneys. Appalachian Power (“APCo”), a subsidiary of American Electric Power, issued a Request for Proposals (“RFP”) on January 19, 2017, seeking up to 25 megawatts alternating current (“MW AC”) of ground-mounted utility scale solar. 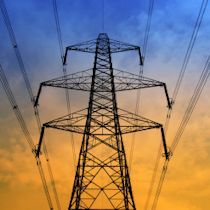 Pursuant to the terms of the RFP, the project must (i) be located in APCO’s service territory in Virginia or West Virginia, (ii) be interconnected to the PJM Regional Transmission Operator or to APCo’s distribution system and (iii) have a nameplate rating of at least 5 MW AC. In addition, the solar project must have started construction after January 1, 2016 and be operational by December 31, 2019. You can access the RFP here: https://www.appalachianpower.com/info/news/viewRelease.aspx?releaseID=2143. If you have questions about renewable power development or retail electric utility regulations, contact one of our Virginia energy lawyers. 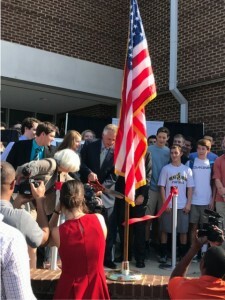 On October 20, 2016, Eric Hurlocker and Blair Powell, together with numerous state and local officials, attended the ribbon-cutting ceremony at Monticello High School in Charlottesville, Virginia commemorating new solar panel installations developed by our long-standing client, Secure Futures. Six public schools in Albemarle County now receive a portion of its energy from rooftop solar, totaling 1.1 megawatts of renewable energy, which will meet approximately 22% of the schools’ electricity needs. 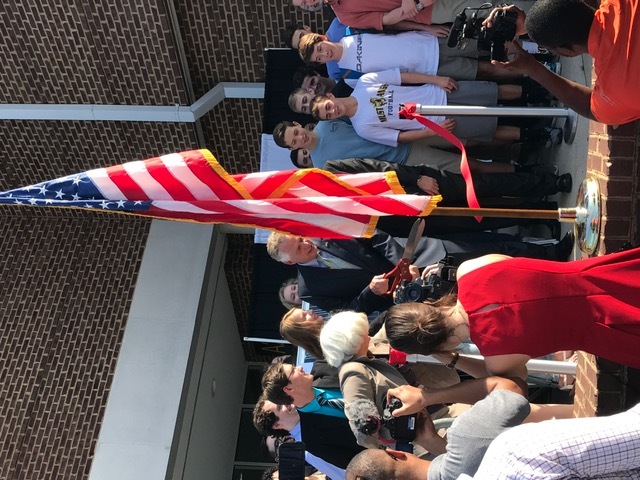 This project makes Albemarle County Public Schools the first public school district in Virginia to purchase solar energy using a Power Purchase Agreement under Dominion’s Renewable Energy Pilot Program. 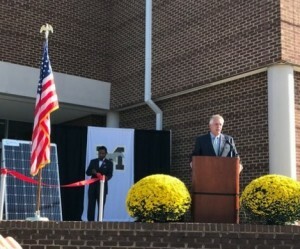 Governor Terry McAuliffe presided over the ribbon-cutting ceremony and provided an update on his energy plan for the Commonwealth of Virginia. 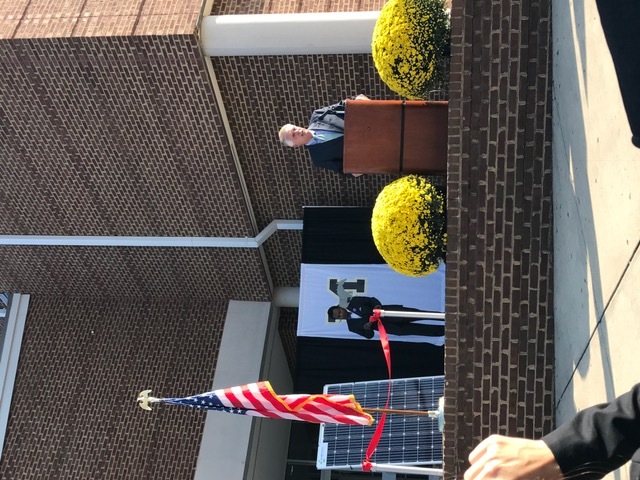 If you want to know more about the Albemarle ribbon-cutting or about renewable and solar energy projects in Virginia, contact any of our Virginia energy lawyers. 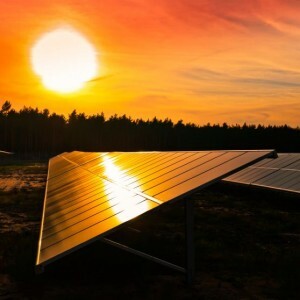 The legislation also authorizes distribution companies to submit to the Massachusetts Department of Energy Resources (“DOER”) proposals for a “monthly minimum reliability contribution” to be included on electric bills for solar-producing customers. DOER then has the authority to approve a monthly minimum reliability contribution that meets certain enumerated factors. The bill explains that any such contributions “shall ensure that all distribution company customers contribute to the fixed costs of ensuring the reliability, proper maintenance and safety of the electric distribution system.” DOER is prohibited, however, from approving a proposal for a monthly minimum reliability contribution, until after the aggregate nameplate capacity of installed solar generating facilities in Massachusetts is equal to or greater than 1,600 MW. DOER was given the authority by the legislature to exempt or modify any such contributions for low-income ratepayers. While the legislation serves as a temporary solution to the net metering problem in Massachusetts, stakeholders, however, predict the cap will likely be reached by the end of 2016. The attorneys at GreeneHurlocker will continue to monitor the legislative landscape in Massachusetts as many of our clients are currently pursuing solar projects in the Commonwealth of Massachusetts.If you have any questions about this legislation or other isses related to renewable energy and regulation, contact any of our solar energy lawyers.